The Ceramic Tiles that we offer has listed us amongst the expert exporters and suppliers based in Barcelona, Spain. We offer ceramic floor and wall tiles in red clay, rustic, porcelain, decorative and natural stone tiles. We also offer tile adhesives and tools and accessories necessary for tile fittings. The tiles are easy to clean with a damp cloth and are durable. We offer this product in different price ranges to meet all budgets. Description : What your style? We have all the latest trends in ceramic floor and wall tiles: red clay, rustic, porcelain, decorative and natural stone. Whatever youre looking for, well help you find it. At Isolana youll also find a wide range of cement-based tile adhesives for ceramic and natural stone tiles, as well as all of the tools and accessories you need to work comfortably. 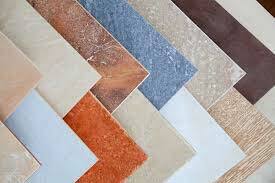 If you dont already know the advantages of ceramic tiles, here a small sample of the possibilities. Ceramic tiles can be used in any room of a home or office, thanks to their great functionality and spectacular properties and advantages: Natural product made from fired water and clay. Versatile: adapts to any surface, either to cover floors and walls or for decoration. Durable and practical. Easy to clean with a damp cloth. Wide variety on offer, something for any budget.